As of late, unstructured file data has proven to be particularly problematic for storage systems. File systems, even those that are distributed across multiple servers, have inherent limits that may be easily reached. When an organization is confronted with these limits, there are several courses of action available to them. 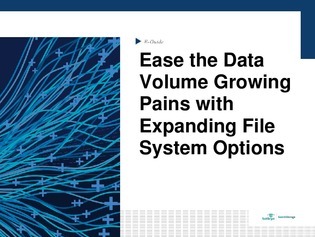 This expert guide presents several options to explore when your company’s file system limits are reached, two of them being implementing a global file system interface and using a cloud file service for inactive data. Download your copy for the details and pricing.